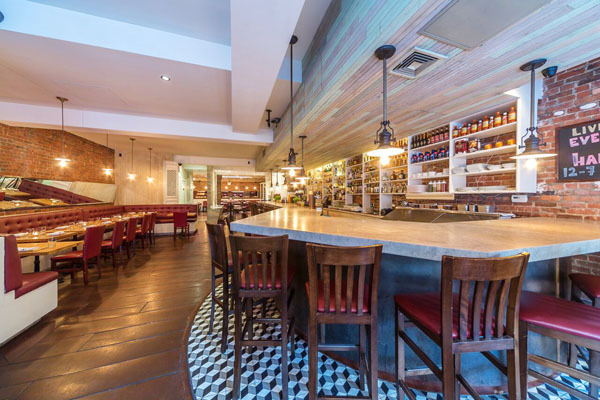 Rustic Latin American restaurant group La Pulperia, co-owned by Victor Medina and Head Chef Carlos Barroz brings Latin American cuisine with contemporary influences to the fun-loving epicureans of New York. Since opening their first location in Hell’s Kitchen in 2014, Barroz and Medina have gone on to open two additional locations on the Upper East Side and Midtown East. 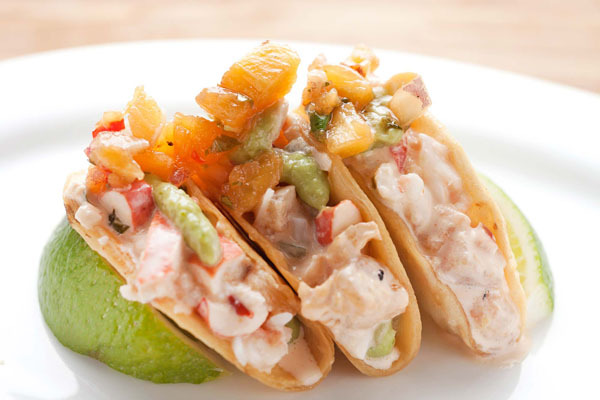 La Pulperia serves classic Latin dishes with contemporary inspiration possessing a menu comprising several fresh seafood dishes, accentuated by select meat and vegetarian options. Inviting as well as adventurous, Chef Barroz brings simple yet refined cuisine with traditional culinary influences from places like Italy and Spain and has received an Open Table Diner’s Choice Award. Signature menu items include Las Tablas, which allow patrons to choose from a variety of grilled proteins such as their famous Pulpo (grilled octopus), and are accompanied by five seasonal “cazuelitas”, a tasting of traditional side dishes such as Eggplant Chambota, Russian Potato Salad and Celery Root Gratin; Pacu Fish Ribs, a rarity in New York, are made with a grilled Brazilian Pacu – a wild and sustainable fresh water fish – and served with an orange chipotle BBQ sauce and coconut rice; and Moqueca Mixta which includes a mix of fresh squid, shrimp, mussels, white fish, scallops, soy beans, Spanish chorizo, bacalao and green coconut rice in dende oil. The Warm Farro Salad with parsnips, beets, feta cheese, cherry tomatoes and butternut squash, tossed in orange maple vinaigrette, is an excellent lunchtime choice for guests of the Midtown East or Upper East Side locations. Diners who love sweet dishes will relish La Pulperia’s dessert menu, which features specialities such as the Mezcal Chocolate Mousse, made with Riazuleno Classico Juven, olive oil flourless cake, popcorn toffee, espresso crumbs and 24k edible gold flakes; and Mango & Lychee Tres Leches, a citrus sponge cake, topped with coconut mousse & sake soak, with a dollop of vanilla whipped cream, white chocolate shavings, mango and lychee pico de gallo. On the weekends, diners can enjoy a Latin twist to a classic brunch. Menu items include Lobster & Baked Eggs seasoned with fresh herbs, crema de blue cheese, fresh cream and truffled scented toasted bread; La Pulperia Omelette with caramelized onion, roasted red peppers, tomato confit, Chihuahua cheese, a side of home fries and a house salad; and Tortilla Espanola, a Spanish style omelette with potato confit, onions and a choice of cheese or chorizo. 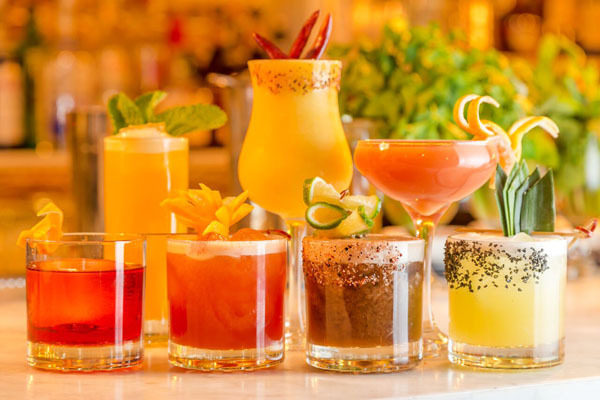 The restaurant also offers an extensive selection of spirits and an ample cocktail menu featuring both classic and innovative cocktails. For additional entertainment, the Upper East Side location hosts live Jazz every Monday night, giving patrons a chance to unwind at the beginning of the week with Brazilian themed entertainment. Happy Hour specials are also available all-day Monday, as well as Tuesday through Friday from 12:00 PM to 7:00 PM and Sundays from 4:00 PM to 7:00 PM. In addition, The Upper East Side location offers local delivery. 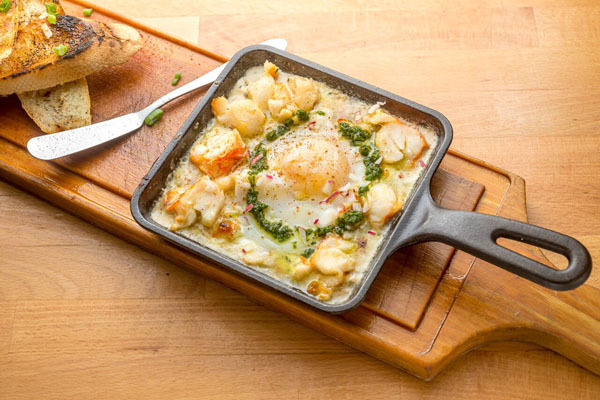 La Pulperia Hell’s Kitchen is home to the famous La Pulperia Drag Brunch Sundays from 12:00 PM to 4:00 PM. This location also hosts Tuesday Night Lady’s Night where from 5:00 PM to 7:00 PM all female customers receive their first drink of the night free of charge! Hell’s Kitchen’s Happy Hour is every week, Sunday through Friday from 4:00 PM to 7:00 PM, with Weekend Brunch and daily Dinner menus. Full service lunch menus are available Monday-Friday on the Upper East Side and all week long in Midtown East. La Pulperia’s interiors were designed by Andres Gomez (Red Rooster, Whitehall, SoCo) and mirror the authentic pulperias of South America, with handcrafted floor tiles from Mexico, reclaimed wood from Brazil on the ceiling and walls, and abundant shelving displaying top shelf liquor, fresh produce, and wine.